My boyfriend and I took Ichi and my I.G. down the Trukee River in Lake Tahoe kayaks Saturday. I think the dogs make it so much more fun. We are trying to get him used to the water at this young age. We started by playing fetch at the lake which worked out great. Does anyone else have Shibas who like/dislike the water? I had to throw treats into the water with Beebe, and floaty toys to tempt her a little so as not to force her, so now they both go chest deep. They don't have a problem running in it (like at the beach or the lake), but seem intimidated by anything deeper than what they can walk into. Actually, I don't think they have ever been swimming. Hmm, we'll have to try that this summer. I did get life jackets (even though they are just puddle jumpers at this point). Canoing or boating sounds really fun, tho, good times. Look like yours had a lot of fun. "Common sense isn't so common"
Mine don't like to swim, but they will wade in a lake or jump around in a creek. Tetsu will go into the water, to a point, and doesn't mind playing in backyard waterfalls (the kind you see in water gardens). I think what he would really not like is the sway given by being on a floating object, from what we experienced with floating docks. It's more than just getting them used to being in water, but also getting them used to that sway a boat/kayak gives. Just curious - does anyone have recommendations in regards to life-jackets for dogs? Sachi loves the beach, she will try to catch waves, and will willingly swim with me if I go out in the water. I havent taken Akira to the beach yet, but I doubt he would enjoy getting wet. I got the Ruffwear vests, seems to fit well and has safety features that many cheaper vests don't. "Common sense isn't so common"
Hey Susan...sorry for offtopic...but where do you live? Lake Tahoe is our playground. We live in Gardnerville just 20 minutes from the lake. Maybe we could meet and let our shibas play tougether?? what do you think? haha mine HATES water. when im in the swimming pool she becomes extremely hesitant to come to me but she eventually does. last weekend, my friend bought one of those child pools thats about a 8 inches high for his husky and we put kelly in but she jumped out immediately lol. Mylo is a little odd. He doesn't mind rain and walking in puddles, but hates when I put him in the empty tub with running water (he shakes like a leaf) and won't go near the water at the beach. At the cottage I can drag him onto the floating docks, but he doesn't last long before he darts back to solid ground. He doesn't mind watching us swim though. He stays calm. My only thought about the Kayaking... If your pup likes water too much is that he might jump out of the boat into the water...? @UrsasMom I've had Saya with me on canoe and she likes it. I don't have leash on her, but we are in our own pond so no risk of her running away she'd probably swim to the yard and shake water of and rest..
We haven't had much time to go out to the creeks to enjoy it. I have a dog life jacket it's ruffwear brand and so far works well and hasn't torn up like the outwardhound one Bella has. I'm sure there is other brands out there. Saya will swim, but mostly if it is her choice. She loves creeks since she can enter and go as she pleases my pond has short shallow part, but even for her it's deep she rather stand in the water, but swims if she sees something. I dunno about leash thing, but if you don't do leash be sure the pup won't jump out and get to land. I might eventually get kayak it would be fun to try kayaking with Saya.. She is tiny enough she wouldn't cause issue. for canoe be sure pup is calm and not all over the place maybe have the pup in the canoe for a bit to get used to being in it and then do water. Has your dog swam before? We haven't found very much information regarding it but have seen the odd picture or u tube clip of a kayak happy shiba. We have no intention of forcing something if the dog is uncomfortable, and we figured it would be a slow process of introduction and treats to train. Would love to know if anyone has had further success with this and if so, training tips? My boyfriend loves kayaking and was hoping Juni would learn to like it too. We practised to sit still in the kayak on land first. She sits quite nicely in the kayak but she doesn't like water in the first place so she isn't very keen. And several times when she has got a bit of water splashed on her she has tried to move over and sit on his lap instead. Last summer we went on a canoe trip in the hope she'd like that better but she didn't. I also think the life vest made it really hot and uncomfortable for her. I know other Shibas that enjoy boats, kayaks and even surf boards but I think they need to enjoy water and swimming to begin with. I was running over scenarios in my head like "what if we capsize.." what if the dog jumps out" "what if the dog sees a dolphin or worse a shark and starts chasing it...."
OMG don't take Tang kayaking! Ever! I've only been kayaking and canoeing a few times, but it sounds like it would be a way fun pastime with a shiba. Shame I live in a desert. :| I kind of doubt that Ozzy would enjoy it, he'll choose to jump through 4 feet of snow than walk through a tiny puddle. haha @Gambit04 I bet most people don't think of the poop. My husband did. he tried for about 25 minutes to see if Tang needed to poop. Nothing.. so off they went. I know he'll take Tang out again, but if he's smart about it, he'll just put a diaper on the dog. haha I forgot to mention, he floated for about two hours with a big grocery bag (all he had) of poop on the front of his kayak. He said it smelled awful. summoning forum gods to rezzz this thread!!!! soooo, i'm planning a hiking/kayaking trip to buffalo national river in a couple of weeks. I'm excited and scared of various scenarios like him jumping overboard... or capsizing coz of my own ineptitude. Hopefully all goes well. Anybody got tips? @Zenki Are there any canine physio places near you? It would be a more calm/controlled environment to get him in to water or a pool and see how he does. Get him a life jacket and let him get used to wearing it, too. I seem to recall @Juni posting photos of their dog in a kayak in her life story thread - she probably has excellent advice to offer! I wish I had pics of our kayaking / canoeing / paddle boarding jaunts but I’m always like meh i don’t want cameras to die in the water and leave em behind haha. But usually we’re only on the water for 3-6 hours and we’ve gone maybe 6-10 times with Ozzy, plus a handful of much shorter like paddling around the lakes / canals that are local. Ozzy doesn’t like water, but he has always done great. Paddle boards are his least favorite haha. I think he feels more vulnerable and it takes him longer to get comfortable. Sometimes he gets in the way when I’m paddling in a kayak lol. But he usually finds a spot to chill after a few minutes. He’s very good about getting in on his own. I usually have him clipped to me on a hands free leash and he wears his life jacket (I need to upgrade to a ruffwear one :D ). I feel like as long as I am casual, not like putting pressure on him or acting like it’s a big deal for him to be on the water, he is totally fine. He just naturally hangs out and looks around. The worst part is getting on / off because he doesn’t want to get too wet haha. But he doesn’t hesitate too long or get too anxious about it. If you have the kayak with you currently, it’s always a good idea to get him used to sitting in it. :D I find kayaks to be the most cumbersome with a dog lol. Keeping Ozzy comfortable without being in the way took some encouragement. He prefers to be right on my lap / between my legs and can make paddling difficult. So, if you can kind of practice sitting in it with him just on dry land and coordinating where he should or shouldn’t be, I think that would help you get settled more quickly on the water when the time comes. And can start building a good association with treats mmmm. Idon't think I have any good advice unfortunately. My boyfriend loves kayaking so hoped he could get Juni to go with him. But she has never enjoyed it much so we have given up. We did practise on land first so she knew to sit still but when water splashes on her she freaks out and tries to climb up on my boyfriend...We have also done some quick runs when they take off for just 5-10 minutes but she is not happy. We tried a canoe too and thought she'd prefer that but no. So we stick to bicycling. i guess the most i’m worried about now is the water temp. Average temp of buffalo national river on the day we’re going is 65F. Wouldn’t it be too cold for either of us if we do manage to make a fool of ourselves and tip over?! Anyway, I think 65 would be perfectly fine as long as it’s not like super windy / rainy. A sunny, breezy 65 is perfection! I hate when it’s like sun beating down heat with bugs flying all around the water and getting drenched in sweat lol. I really never hop in the water to cool off when I have Ozzy since I’m tethered to him and he hates the water. He gets a little nervous if we just hop into the water cus he thinks we’re gonna like pull him in with us or something... so far, we haven’t flipped with Ozzy yet lol. We did come close a few times, usually when we come across wildlife (like a black bear or moose mama) and we either try to turn back and paddle upstream or just get as far away as possible lol. But, for the most part, I try to keep it calm and easygoing with Ozzy. But I’m no expert and I’ve managed to not tip so far. I’ve tipped a few times without Ozzy, but usually for stupid reasons like exaggerating paddling strides and thinking I’m being hilarious until I lose balance. But I think as long as you’re not trying anything too fancy or as long as the water conditions are decent, you and Zenki won’t have a problem with smooth sailing. :D Is the water rough where you guys are going? Has the snowfall in that area been more than usual this season that would result in more intense water with extra snow melt? If it’s been a particularly snowy year here, the rivers are always wayyy scarier haha. Luckily, snow this year has been absolutely pathetic where we are ha. Anyway, even if you did get totally soaked, I don’t think 65 would be cold enough to worry about. Keep extra towels in the car or at the location you’ll end up at, maybe even some hot hands in case you do need a quick warm up! Make sure you and Zenki have eaten well so your bodies have plenty of calories to warm themselves up if you do get wet and chilly. And maybe bring a snack for Zenki or have some snacks for him at your destination. If you’ll be bringing a pack, you could line it with like a trash compactor bag and keep stuff that you don’t want to get wet inside (like an extra towel / dry clothing / socks / food) and tie the pack to the kayak so it doesn’t sink if you flip over. Of course it’s not foolproof against being completely underwater for more than a few seconds haha. That’s kept my gear dry when I’ve crossed rivers on backpacking trips in the past, but I’ve never had my pack like totally submerged. Body fat is an excellent insulator. Seals, whales, and other warm-blooded aquatic mammals have a lot of this insulating fat - called blubber - which enables them to keep warm while swimming in cold oceans. I just got a zpacks duplex! But it’s cuben fiber and has a thicker floor so no need for a footprint. It does have mesh around the bathtub for ventilation. Is the hexamid like the same as the duplex?? I remember reading that they like sort of recently changed the names. I recently upgraded like alllll my backpacking gear for this season haha. So I’m hoping dog nails won’t be too rough for the tent floor. Or my quilt / sleeping pad. Ozzy is all about being the little spoon on nights in the tent. He’s great insulation for someone like me that always sleeps cold. :)) I bet Zenki will love camping trips! I’ve had other people’s hyped off-leash dogs run into my tent and cover everything with mud and dislodge stuff. Sooo I feel like other dogs are the ones I have to worry about when it comes to my stuff haha.. I guess I’d be more wary of cool water temps if by myself. I never do stuff alone / without a friend or bf haha, so I don’t feel unsafe if something were to go wrong. Plus the water here is never even close to warm haha, so I grew up with it being the norm. Even in the summer, water temp max high is 68 at our regular spot (according to google anyway). That article seems a little fearmongery to me. :)) But I’d never be alone and I’ve grown up in an area where the water temps stay low year round. And you can always go later in the year when it warms up! Of course always wear a life jacket yourself so a cold shock wouldn’t be your downfall lol. Maybe bring a friend or a gps or spot device too. Safety definitely shouldn’t be overlooked. But don’t let it stop you from having awesome adventures! Also I realized we have the GoPro now. Man i have soooo much footage on that thing that i need to edit... but we haven’t taken it on the water even though it’s waterproof yet. Need to buy one of those floating cases so we don’t lose it forever lol. 1.) 20F quilt from enlightened equipment. 2.) all season sleep pad (xtherm). 6.) light beacon for the pooper. but back to kayaking, i have jumped in a pool inside a cave when it was 45F outside. so i may have a high tolerance with cold water. we shall see, maybe i should start cold showering everyday now just to prepare myself. :)) but yeah, this is pretty much a solo adventure for us. i always have this '127-hr' type of concerns when i'm heading outdoors by myself. maybe if start going out for weeks hiking in the wilderness, i might consider getting something like a DeLorne InReach Explorer Satellite Communicator with Navigation. But for our upcoming trip, i would probably feel much more confident if it's 70-75F that day and there are several other kayakers in the river. Will also ask a bunch of questions at the outfitters to see what they think. AND I bought altra lone peaks (that I'm wearing right now), dirty girl gaiters, and a thermarest xtherm TOO!!! LMAO! I bet we were reading and watching the same reviews. :)) The rest of the gear I've gotten recently is like black diamond alpine carbon/cork trekking poles, MSR pocket rocket 2 stove, socks by injinji (love) and darn tough, and some misc other stuff like clothing, cooking pot (it's a grease pot from Walmart lol), stuff for organization like opsak loksak, stuff sacks / bags, battery to recharge phone on trails... and a ULA circuit pack. I almost got a Zpacks arc haul, but I read that it wasn't as comfortable with weights above like 20 lbs. Since I'll be carrying dog stuff in addition to my own stuff, I just decided to go with the old reliable (and significantly more affordable lol). Hiked a short trail with it filled with 30 lbs of water the other day just to see how it felt. :)) and it was great! So hopefully I'll be plenty happy with it. Packs are difficult in my experience. I will definitely be getting Ozzy a ruffwear lifejacket before the summer. I would for sure be more nervous doing stuff by myself. Researching all the gear I've gotten and listening to podcasts has reallyyy made me want to do something like a thru hike some day...but it would be scary to go alone and I wouldn't be able to bring Ozzy for major portions of a thru hike... Even in many of the places where he would be allowed, I wouldn't want to like overwork his joints or bring him through the desert heat with rattle snakes, etc... Ya know, in a perfect world, it sounds like an adventurous dream. But I know it's not that easy... I just wanna go on cool adventures with my dog! HAHAHAHA! your gear looks almost exactly like mine! :)) except i have Leki poles (not cork) want to switch those out. i have that Pocket rocket 2. not sure i'm gonna switch packs yet. maybe someday if i want to go UL. For now, my granite gear blaze will have to do. one other thing i want to get is a vargo Titanium BOT. these trails are what we will be doing if we don't get to kayak. if we can kayak, we're only gonna hit whitaker point. read great things about granite gear when I was researching packs, you’ve obviously got good taste lololol. I also considered Leki cork lite poles. But they were pricier and a little heavier than the black diamond ones. And almost got the xlite instead of the xtherm pad, but I get cold camping all the time, so xtherm seemed like the way to go. Hijacking this thread with gear babble and seeing those trail pics is making me sooo impatient for spring break / summer. Don’t have time for backpacking trips with school atm. But this summer will be solid. Ozzy also got a ruffwear singletrak pack for his birthday in November. We had to have it tailored locally because it doesn’t come in a size xs, just small. Which did fit him in places, but needed adjustments. So he’ll be a badass on the trails this season too. 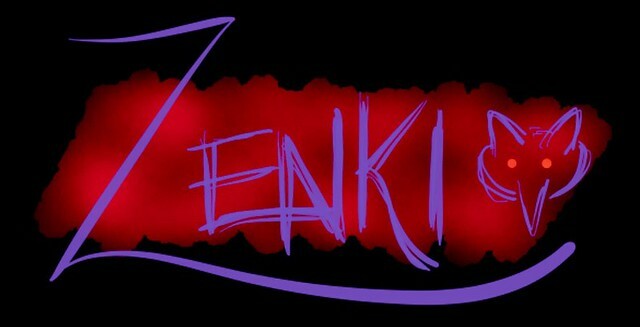 :D I’ll be watching your ig and life thread diligently for Zenki adventure posts! Wish I didn’t live in a small apartment with no storage so I could get my own kayak / canoe / paddle board. Bf’s dad wanted to buy us a double kayak, but we wouldn’t have anywhere to put it. :c so I’m always stuck renting / borrowing.